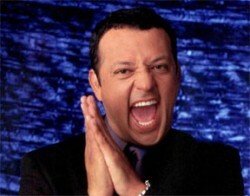 Revered as one of the first Latin Kings of Comedy, Paul Rodriguez has been making audiences laugh all over the world for nearly three decades with his unique brand of humor that is a perfect blend of his Latin heritage and the American dream. Rodriguez stared in “Cats & Dogs: The Revenge of Kitty Galore” with Christina Applegate, Michael Clark Duncan, Neil Patrick Harris, among others. He was seen in “The Deported” and “I’m Not Like That No More,” with comedian Felipe Esparza. As an accomplished writer, director and producer for television, motion pictures and feature shows, Rodriguez has several hit projects to his credit including the comedy concert film “The Original Latin Kings of Comedy,” which he executive-produced and starred in along with Cheech Marin, George Lopez and Carlos Mencia. Rodriguez strikes comedy gold again with his latest stand-up concert DVD “Comedy Rehab.” This month he brings his act to Chicago Improv, 5 Woodfield Rd, on December 29 through 31. To make reservations or for more information, call 847-240-2001 or visit www.improv.com.